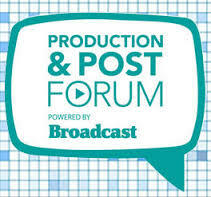 Last week three of our clients Deluxe, Loft London and TimelineTV took to the stage at the inaugural BFI, Production & Post Forum. Loft London ran a panel entitled ‘What happen’s post Post‘, with representatives from TimelineTV, DIG/Easel TV, Pretzel Films and The Platform discussing and sharing their views on what happens to a piece of content once its leave the post environment. TimelineTV ran a panel called ‘From Zero to Hero‘, with members discussing the challenges and successes of building the new BT sport facility in the former International Broadcast Centre in the Olympic Park and in another separate panel discussion Deluxe shared their thoughts on ‘Who is driving the technology change and what should we be planning for‘. Click here to read all the panel speakers and contributors profiles from last weeks event.